Fine Dining St. Louis: Join Us For Easter Brunch! It’s hard to believe Easter Sunday is just a few days away! We invite you and your family to join us for a spring tradition wrapped in fun and, of course, delicious food. Wild Flower Restaurant is taking Easter brunch reservations from 9 a.m. to 3 p.m.
Take a look at our menu for this special occasion. Brunch reservations are $47.95 for adults (mimosas included) and $15.95 for children. 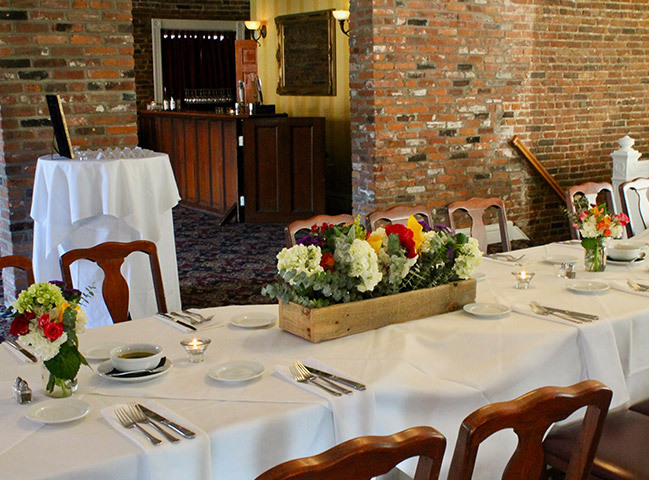 Why Choose Our Fine Dining Restaurant In St. Louis? You can celebrate Easter at a number of restaurants in St. Louis. So what exactly sets Wild Flower apart from the rest? Let’s start with the fact that Wild Flower has been a staple in the Central West End for nearly 25 years. When we first opened Wild Flower, we wanted to create an establishment that paired tasty American cuisine with a casual atmosphere. It’s safe to say we’ve done just that! We are often asked what made us open our restaurant in the Central West End. Frankly, this was an easy decision for us back in 1996. We were searching for a trendy area with a cosmopolitan feel and the West End proved to be the perfect fit. Over the years, Wild Flower has been regarded as a charming atmosphere coupled with a creative and delectable menu. Our chefs pride themselves on having fresh, mouth-watering options for everyone’s unique tastes. We even have a wide variety of gluten-free choices to ensure the satisfaction of your entire table. There’s never a bad time to visit Wild Flower Restaurant in St. Louis. From Sunday brunch and midweek lunch to happy hour and dinner, our award-winning restaurant has your group covered all day and night. Don’t forget to also check out our bar for specials on handcrafted cocktails. It’s no secret what makes Wild Flower one of the most popular food spots in St. Louis and the Central West End in particular. We are fortunate to have been recognized by notable outlets such as The Riverfront Times, Sauce Magazine, and The New York Times. This Easter Sunday, start a new tradition with brunch at Wild Flower Restaurant. Reservations are filling up fast so call us today to book your table!